April 8, SACRAMENTO—Hundreds of participants in the first Sacramento Walk4Literacy (Walk4Literacy.org), a fundraising walk scheduled for Saturday, Oct. 25, will end their 4-mile route at the California Capital Book Festival. The two-day festival, featuring author panels, book seller exhibits, and specialty venues catering to sports, pets, cooking and kid lit, will be held Oct. 25 and 26 at the Sacramento Convention Center. Produced by Sacramento-based event planning firm, Capital EventWorks, the book festival will benefit the Sacramento Public Library Foundation. The event will be similar to book festivals held in numerous U.S. cities, including Los Angeles, Tucson, New Orleans, Nashville, Miami, Atlanta, Baltimore, and Austin, Texas. Companies and organizations interesting in exhibiting at or becoming a sponsor of the California Capital Book Festival may call the Capital EventWorks office at 916-307-1713. 916ink (916inksacramento.wordpress.com) is a literacy organization that makes kids and teens active agents of their own change by asking them to write and communicate their stories for a public audience. Teach For America Sacramento (TeachForAmerica.org) enlists individuals to help ensure a quality education for children living in poverty by committing to teach for two years in low-income communities. Since 1984 the Sacramento Public Library Foundation (SacLibraryFoundation.org) has raised more than $9 million to help provide books and materials, technology, reading enrichment programs, bookmobiles, literacy classes, after school homework centers, college and career counseling services, cultural events, and select capital improvements chine viagra. 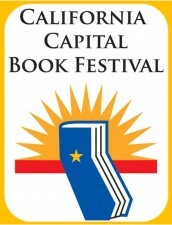 For more information about the California Capital Book Festival, or to find out how to get involved as a sponsor, exhibitor or featured guest, visit www.ccbookfestival.com or call 916-307-1713.